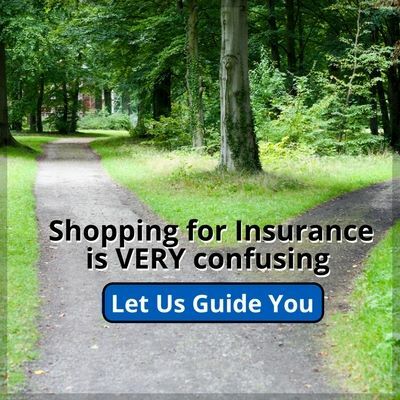 Your auto insurance premium is based on a wide array of personal factors. Here are 13 things that your auto insurance provider considers when calculating your premium. Obviously, the level of coverage you choose will have the most significant impact on how much your coverage costs. The more money an insurer could potentially pay out on your claim, the more money you’ll pay for your coverage. Generally speaking, older drivers are less likely to be in a collision and therefore enjoy more affordable premiums. Younger drivers, on the other hand, typically pay the most for coverage. In Nevada, auto insurance companies can base their rates partly on a policyholder’s gender. Because men are statistically riskier drivers, they typically pay a higher auto insurance rate than women. As a whole, married drivers are safer drivers and therefore pay less for auto insurance coverage than their unmarried counterparts. Not only do drivers with clean driver’s histories qualify for better rates, but they are also often eligible for discounts for good driving, which can save a significant amount of money each month. Because past behavior is indicative of future behavior, drivers who frequently file claims will pay more for their coverage. Studies have shown that drivers with credit scores under 600 are more likely to be involved in a collision. For this reason, insurers factor your credit score when determining your premium. Different geographic locations have different exposures to risk, resulting in varying auto insurance rates. Inexperienced drivers pose a greater risk to the insurer and will automatically pay more for auto insurance coverage, regardless of their age. Any lapse in coverage will result in a higher monthly premium, and don’t forget we have penalties here in Nevada from the DMV if there is any lapse in coverage. It’s best if you have a Nevada driver’s license to carry, at a minimum, liability coverage. If you don’t have at least liability coverage, when you do come back into the market to get a policy, you will pay higher rates; at least initially for the first 6 months or so. Drivers who have never had a lapse in their auto insurance coverage are statistically less likely to be involved in a collision. Keeping at least state minimum liability coverage will keep your rate down lower than if you decide to not carry any insurance at all. If you drive a vehicle that is more likely to be stolen, you can expect to pay more for auto insurance coverage. The age of a vehicle also affects the rate. The bells and whistles in your auto may cost more to insure because it would cost more to replace. Year, Make, Model are some of the many factors in premium costs. Your auto insurer will want to know why you’re driving your vehicle. If you drive every day to work or school, your exposure to risk is greater than that of someone who only drives once a week to go to the grocery store. The more time you spend on the road, the more likely you are to get into a collision. Therefore, those who put more annual miles on their vehicle than the average driver pay a higher premium. 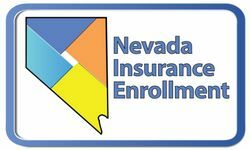 Nevada Insurance Enrollment Can Help You Save On Auto Insurance. 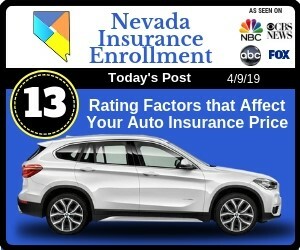 Your Nevada Insurance Enrollment auto insurance agent can help you get the best coverage for the best deal on auto insurance coverage. Contact us today to talk about your driving habits and needs, and we’ll help you understand your options.